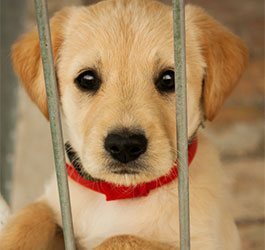 All of us at Dog.com are passionate about helping animals that need it most, and assisting organizations in their ongoing campaigns for animal rights. We are proud to sponsor food and housing for those in need, make donations, visit shelter facilities, and actively share their stories to spread awareness. Won't you help too? The Camden County Animal Shelter (CCAS) [Fed Tax ID 20-0549531] is operated by the Animal Welfare Society of Camden County (AWSCC) as a registered 501(c)(3) non-profit organization since 2004. Their mission is to end companion animal homelessness in the county through community awareness and responsible ownership. The leading animal welfare agency in their region, with an 83% save rate in 2016, their vision is to save even more lives, and achieve a 90% save rate by 2018 year-end. CCAS cares for any animal regardless of the reason, whether a pet surrendered by an owner due to medical issues or financial limitations, a stray animal that has been abandoned, or any animal that has suffered extreme neglect from starvation and medical treatment. Every day they provide quality medical care and housing for these animals as they strive to find them new loving homes and reunite lost pets with their owners. Rescues We've Worked With! Help Us Help Them! Purchase items CCAS selected and ship directly to the rescue. 100% of all donations made before 9/30/2017 will go to Hurricane Harvey disaster relief. To make a donation, you'll first need to set up your account. It's easy! Just enter your email address and create a password. The card identification number is a unique three or four digit number, separate from your credit card number. To make sure your online shopping experience is even more secure, we require that you enter this number each time you place an order. Please note: your security code will not be stored anywhere in our system. Look for the last three non-embossed numbers in the signature panel on the back of your card. Look for the four embossed numbers on the front of your card. Save this credit card information for future orders. Make this my default credit card. Please review your donation amount and payment information. Clicking Donate Now will process your donation and charge your card. Let everyone know you made a donation to help animals and they can too!